I was also told the plungers are brand new and have never been used. 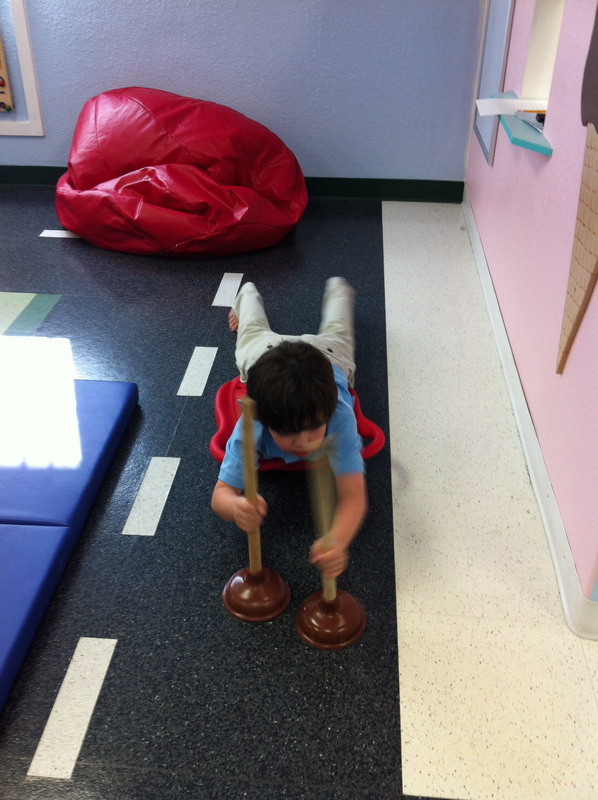 This entry was posted in Almost Wordless Wednesday., Autism and tagged core strength occupational therapy OT autism plungers. Bookmark the permalink. 4 Responses to Almost Wordless Wednesday… Taking the Plunge at O.T. Tate has done the same thing at his OT! I think I need a plunger too. 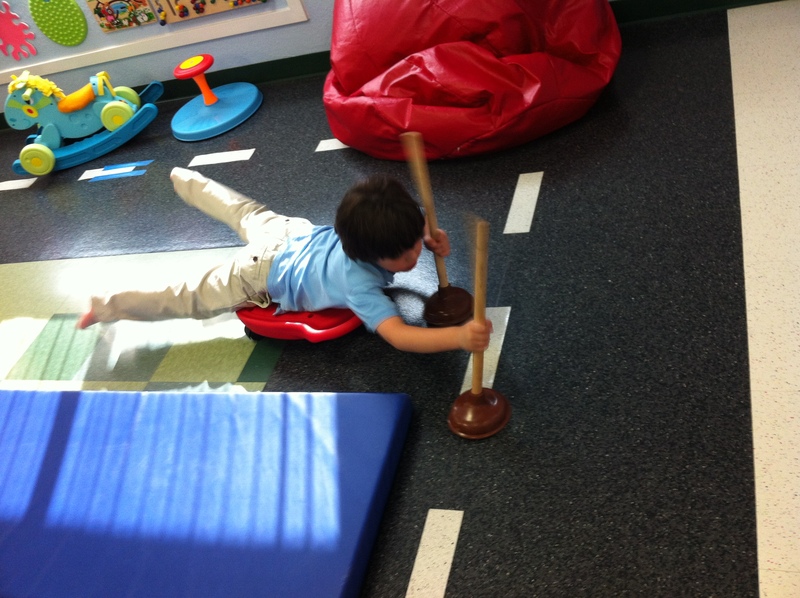 Plungers eh:) my OT hasn’t done that yet with the scooter board…lol. that looks like a really good idea — wonder if LM would go for it?